The new year has brought several days of bitter cold temperatures and it seems a constant dusting of snow to South Dakota. It’s been beautiful but almost too cold to get out and fully appreciate it all. The kids have tried with all their might to stay out longer than 10 minutes to sled and play but it’s been days of running between heated homes and vehicles. Cabin fever has indeed settled in over this winter’s break. The herd has stayed very close to the shelter belt through it all. 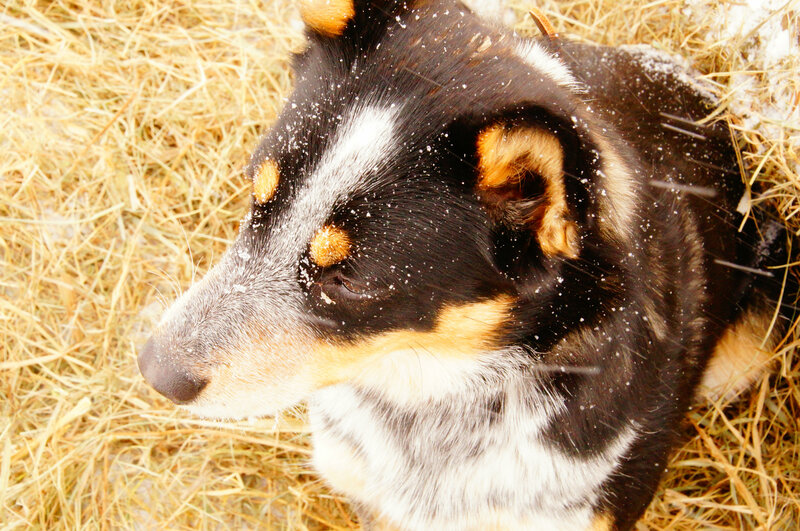 And the dogs find warmth among the straw bales if they’re out for very long. 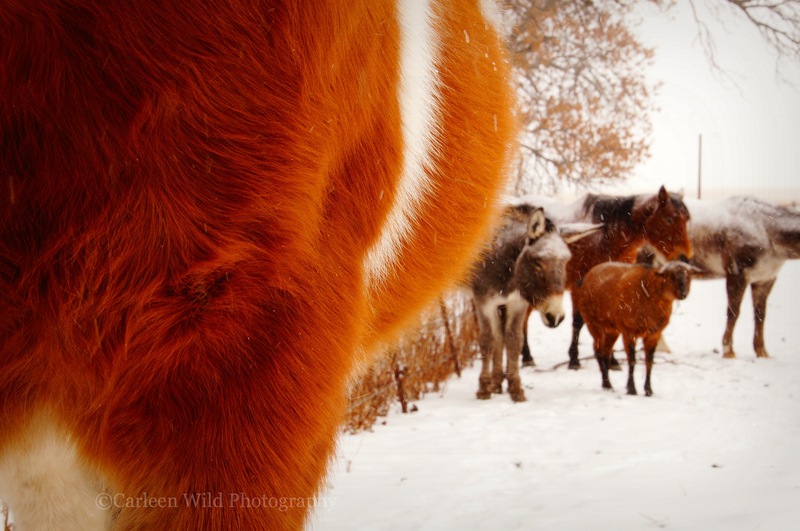 This entry was posted in Photography, South Dakota, Uncategorized and tagged Blue Heeler, Frigid Temperatures, Horses, Photography, Shelter belt, Snow, South Dakota by Carleen Wild. Bookmark the permalink. Might be cold, but there are such warm colours in that first photo. Beautifully framed. And it took me until now to realise the range of animals you have there, sheltering together. is that a mule or a donkey? Either way, in my mind kind of Christmassy … which is a million and one miles from the reality you have out there.